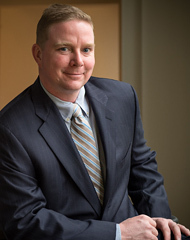 Mr. Kelly joined Greenberg Gibbons in January 2013. Prior to that, he spent 15 years working for the national engineering firm Greenhorne & O’Mara, managing site development, infrastructure and transportation improvement projects. He is a licensed professional engineer in Maryland and Delaware. Mr. Kelly holds a Bachelor of Science Degree in Civil Engineering from Syracuse University. He resides in Annapolis, MD with his wife and two children.